Foucault  full circle, not based on the rectilinear frame of reference of a painting, mirror, house, or book, and with neither “inside” nor “outside” but according to the single surface of a Moebius strip. This is not the classical Cartesian model of self, with a vital ensouled res cogitans surrounded by that predictable world of Newtonian mechanisms of the res extensa; it is closer to Maturana and Varela’s conception of autopoiesis, a completely self-making, self-referring, tautologically delimited entity at the various levels of cell, organism, and cognition . 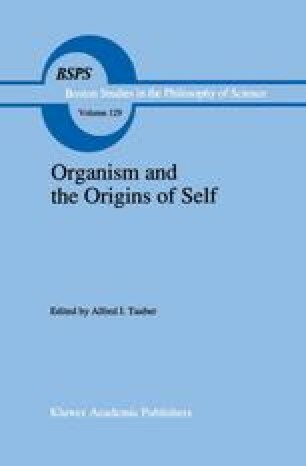 It would be premature to accuse us therefore of a debilitating biomysticism, of pandering to deconstructive fashion, or, indeed, of fomenting an academic “lunacy” or “criminality” that merits ostracism from scientific society, smoothly sealed by peer review and by the standards of what Fleck calls a “thought collective” . Nor would it be timely to label and dismiss us as antirational or solipsist. Speeches and books were assigned real authors, other than mythical or important religious figures, only when the author became subject to punishment and to the extent that his discourse was considered transgressive.